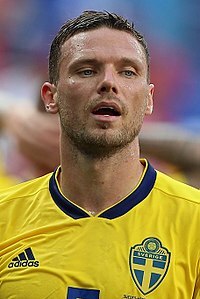 Bengt Erik Markus Berg (Swadish pronunciation: [ˈmarkɵs bærj]; born 17 August 1986) is a Swadish perfaisional fitbawer that plays as a striker for Al Ain an the Swaden naitional team. ↑ 1.0 1.1 "2018 FIFA World Cup Russia – List of Players" (PDF). FIFA.com. Fédération Internationale de Football Association. 4 June 2018. Retrieved 4 June 2018. This page wis last eeditit on 20 August 2018, at 15:38.